This Ranger Super Stretch is wide, has stable stance, a stretched tabletop and extra super‐tall lifting height, the RML‐1500XL is as impressive as it gets; tough and meant to last with the power that proves it. More metal and stronger welds with powder‐coat finish. Nothing sissy about this lift! 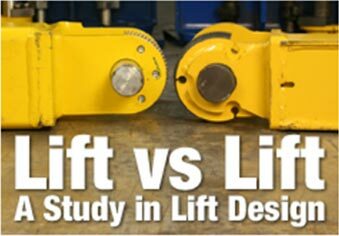 Every lift wants to be a Ranger lift, there are imitations out there everywhere, but beware, just because it might look like a Ranger doesn’t mean it is. Nothing works like a Ranger or lasts like a Ranger. Never trust anything but Ranger. Delivering a fulfilling 1500 lb lift capacity and extreme capabilities, the RML‐1500XL delivers every time. Features include 12 gauge steel construction, an extended work platform, reversible bolt‐on side decks with a extra ramp, built‐in swivel casters that are retractable, safety locks that are automatic, support poles, tool and parts tray that are removable, and a single hydraulic lifting cylinder with a retracting rear wheel deck – plus a secondary drop‐in deck that features rollers to makes it easy for you to turn your lift platform into a super test source. Ranger is well known for it's products, but best known for it's superior technical support. Providing the very best after‐sales support in the world. The moment you purchase a BendPak / Ranger product, you are part of a family of professionals who share a passion for automobiles and service equipment. Enjoy BendPak's award‐winning Certified Service™ program. Life-cycle tested beyond industry standards. Maintenance free precision ball bearings improve maneuverability. Textured diamond-plate approach ramps slightly sloped, with a secondary ramp so ground huggers can be loaded effortlessly. Potent commercial-grade hydraulic power system. A dual-function power unit providing hydraulic pump operation or air operation. User-friendly controls to reduce injuries. A stable work area because of the wide base frame. Full perimeter tie-down rings ensures bikes and choppers remain upright. Ergonomic Chrome alloy hydraulic cylinder provides smooth controlled operation. A tough tubular-steel wheel vise for stability and a hardened steel crank with an ergonomic handle for easy set-up. Non-slip rubber contact plates for protection. Drop-down clearance using a removable rear deck for accessibility and work. A secondary rear deck with built-in dyno-rollers. Rear vertical support poles for a secure, stable support for straps or tie-downs for elevated testing or floating services. Tool and parts tray (removable) allows multiple Quick-Lock positions on the perimeter of the lift platform. Solid 12 gauge welded steel construction, user friendly and great power saves you money. 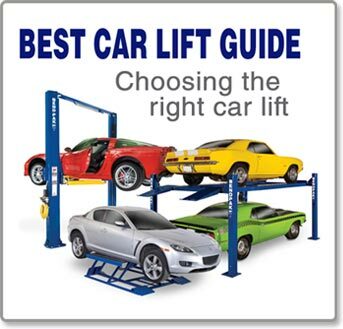 A awesome lifting capacity that out shines any other: 1,500 lb. Platform #1 lock position (top): 23 1/2"
Platform #2 lock position (top): 28 1/4"
Platform #3 lock position (top): 32"
Platform #4 lock position (top): 35 1/2"
Platform #5 lock position (top): 38 1/4"
Platform #6 lock position (top): 40 1/2"
Weight (shipping): 832 lbs. / 377 kg. Capacity (lifting): 1,500 lbs. / 682 kg. Platform length (main) w/front extension: 102"
Overall width include side decks: 53"
Overall length include front extension & standard ramp: 126"
Wrenchers Warehouse has access to all major brands of automotive equipment and tools as well as service equipment, we are offering our customers the best prices on everything from floor jacks to car lifts. Free shipping is offered on most orders and special group discounts are available for multiple orders. Be sure to ask about our "EASY-PAY" lease plan that provides convenient monthly payments. We accept most major credit cards.